Amazon finally updated their free monthly promotion for a free ebook and audiobook combo. This month’s free title is H.G. Wells’ The Time Machine. Through the month of January you can get both the ebook and professionally narrated audiobook for free. Amazon has been doing this for several months now to promote their exclusive Whispersync for Voice feature that syncs Kindle ebooks and Audible audiobooks together using Kindle reading apps and Fire tablets. The good thing about the promotion is the audiobooks aren’t Kindle exclusive; they are offered through Amazon’s partner, Audible.com, and you can listen to the audiobooks with various Audible apps and devices, no Whispersync for Voice or Kindle required. 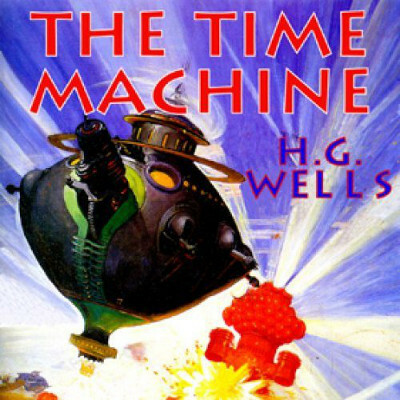 The Time Machine isn’t nearly as long as some other titles that have been offered in the past; the audiobook is only 3 hours and 48 minutes long. I don’t know when it changed, but this month I noticed that Amazon has made it easier to get the audiobook copy. All you have to do is check the box to the right below the “Buy Now” button to automatically add the free audiobook to the purchase instead of having to visit the audiobook page after getting the ebook copy. Looking forward to getting into this book. Thanks!